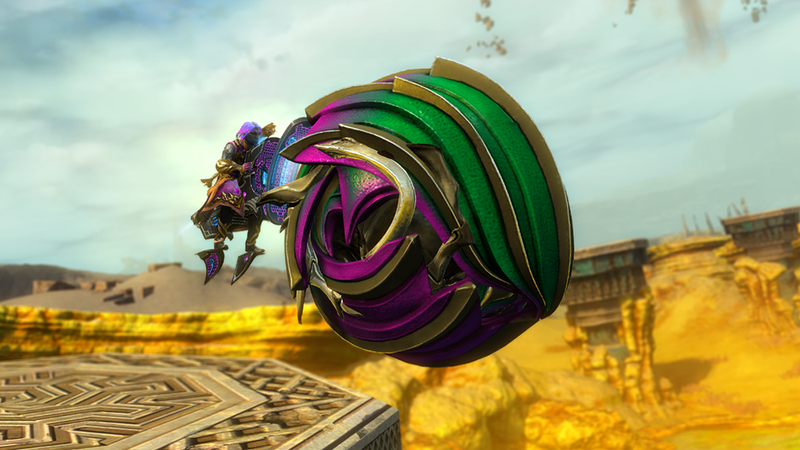 We’ve got fifteen new mount skins for aspiring roller beetle jockeys—and anyone with a serious eye for mount fashion. This collection is available exclusively through Distant Lands licenses. 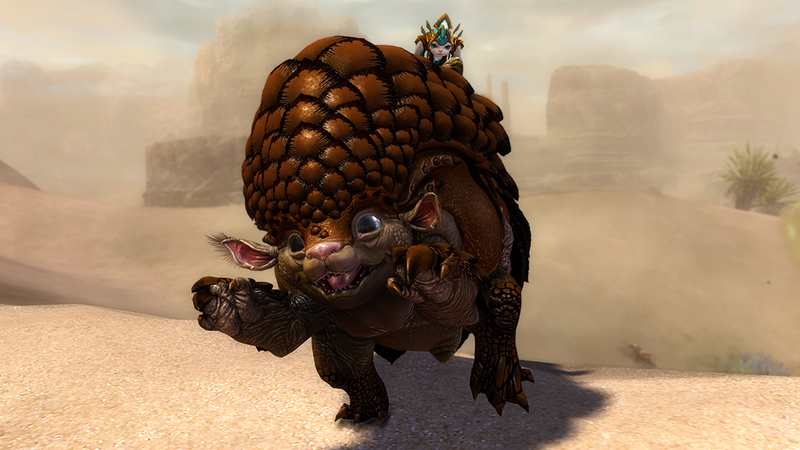 Has the Krytan Lop hopped away with your heart? Does the Luminous Prowler have you all aglow? Use this license to choose any one skin from the Distant Lands collection and unlock it right away. If you don’t want to play favorites, this license will unlock a mount skin from the collection at random. You’re always guaranteed to get a skin, and you’ll never receive a duplicate. You can rent a roller beetle at the racetrack, but why not raise one of your very own? To celebrate the roller beetle racing grand opening, the Living World episode “Long Live the Lich” is free to unlock for a limited time. Play through the episode to get your roller beetle! Our autumn outfit lineup is leaving the shelves this week, and some seasonal favorites are returning.